The Logistics Platform of Trieste, of which Interporto Bologna holds 13.33% of the partnership, continues its growth. 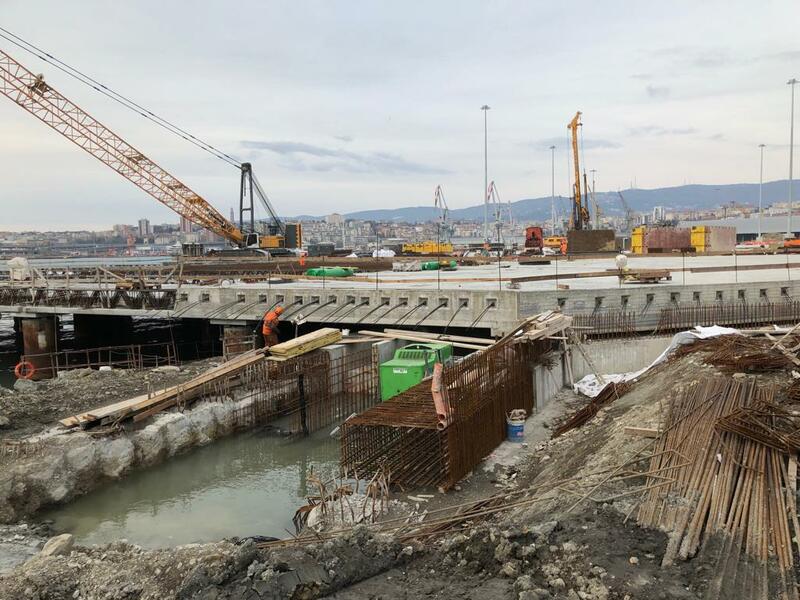 The project involves the design, construction, maintenance and management of the Logistics Platform between the "Scalo Legnami" and the former Italsider, in the Triesteport hub, recovering from the port use a large area initially partly occupied by the sea, creating new rail and road connections and Ro-Ro dockings. In addition to the Interporto, the grouping of companies is composed of I.CO.P. SpA, Cosmo Ambiente Srl and Francesco Parisi Casa di Spedizioni SpA. The works have reached 75% of the total realization and are expected to be completed by the end of 2019. I declare that I have read the Privacy Notice and express my consent to the processing of data for the purposes indicated.